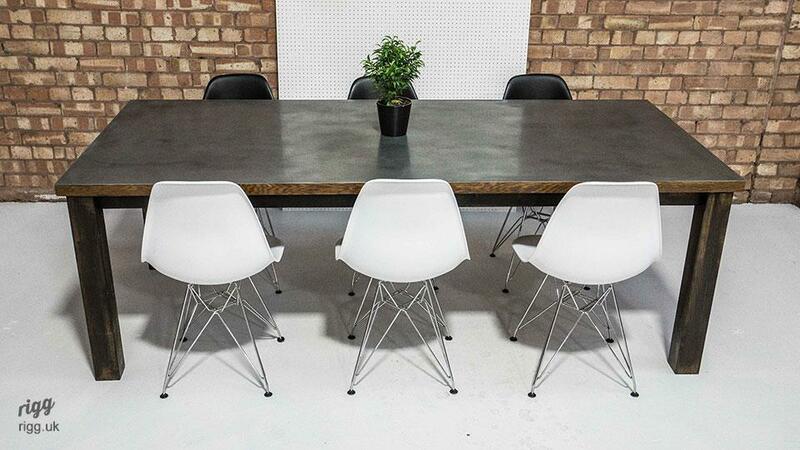 A superb zinc table, made in the UK at our factory and available in a variety of sizes. 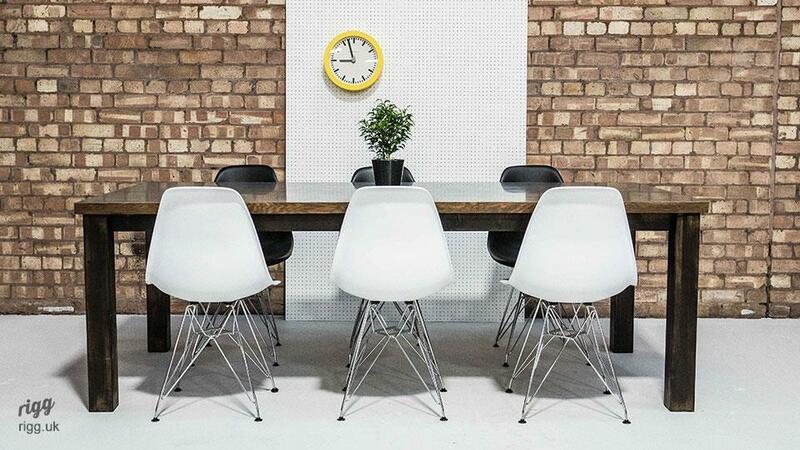 The design incorporates vintage industrial themes whilst maintaining a crisp, no-nonsense feel. 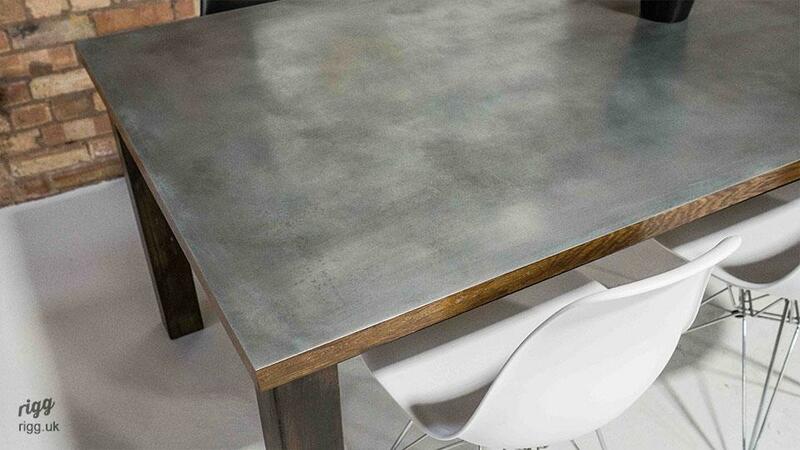 Unlike most other zinc tables, this piece has the top surface neatly bonded on, without wrapping around the edges. 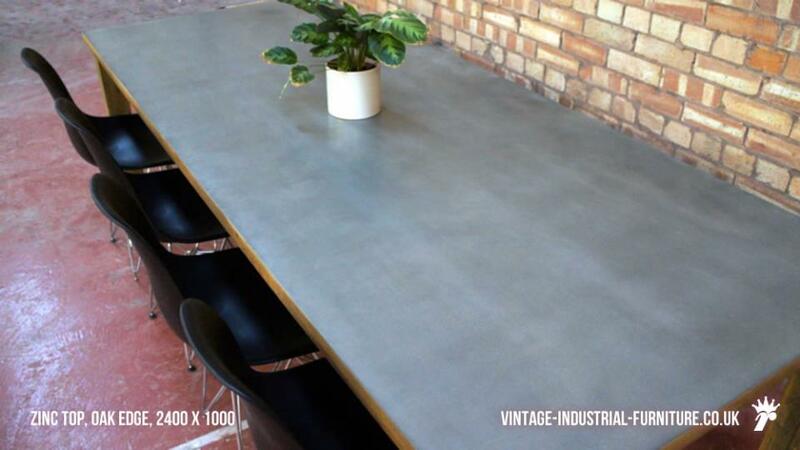 It is usual to see zinc top dining tables presented with a cliched style, frequently with rivet style decoration around the perimeter. The item which we present here avoids this. Instead we attach the zinc to the top surface only using our very powerful, large hydraulic press. 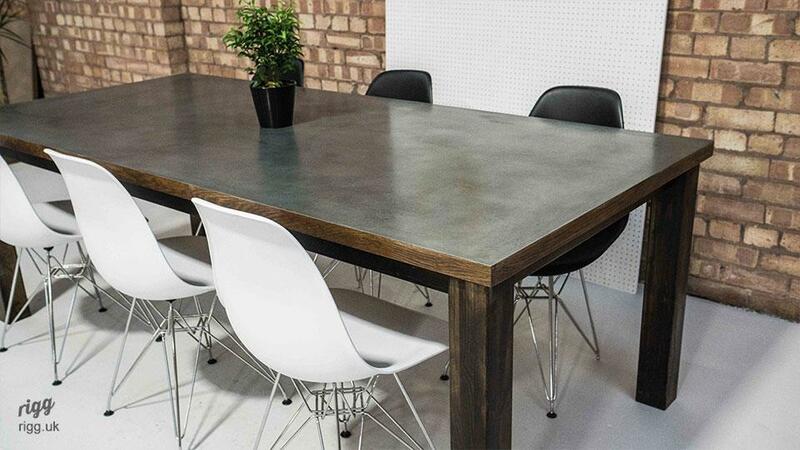 The special construction method used on this zinc table affords the possibilty of a wooden edge, hence the real wooden oak edge detail. 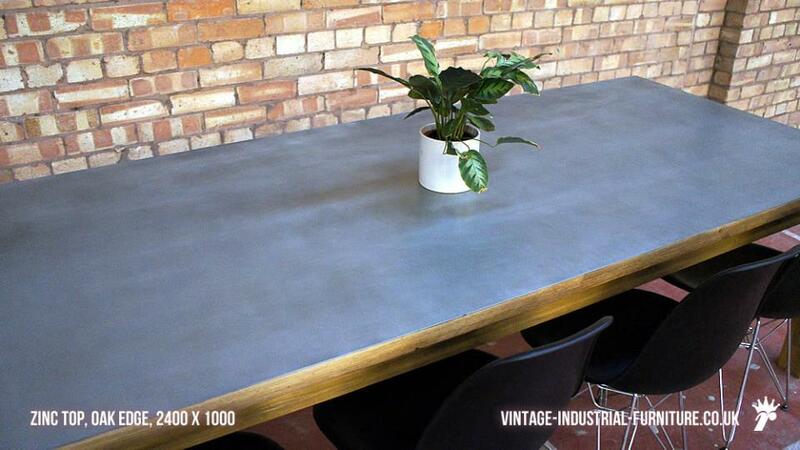 This is ideal if you would like a zinc topped table but would like to offset some of the metalic grey aspect. 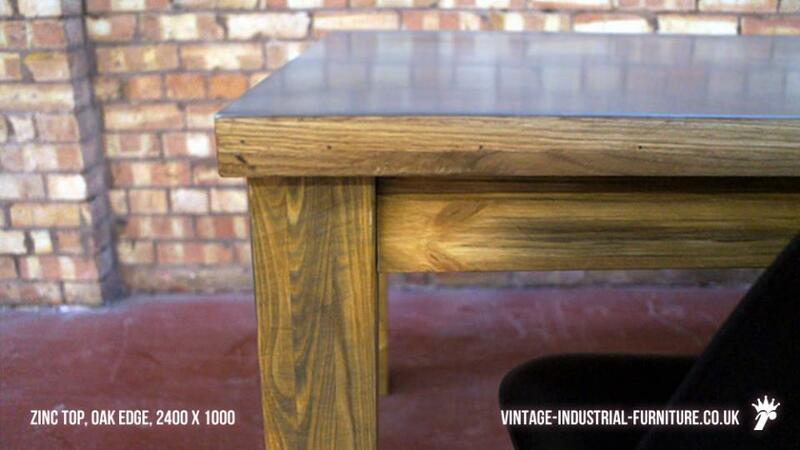 We supply the top with a patiner already applied to give a slightly aged effect. The warmth and richness will continue to develop though use and the passage of time. As mentioned at the beginning, we can make this piece in other sizes. 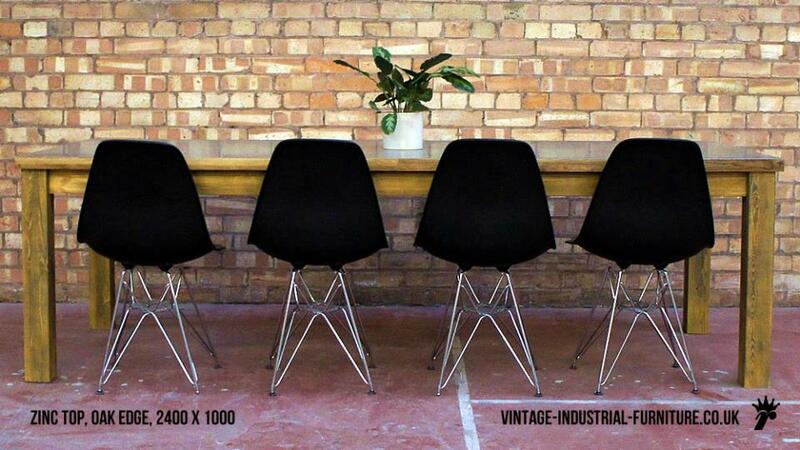 Please contact us about other sizes. 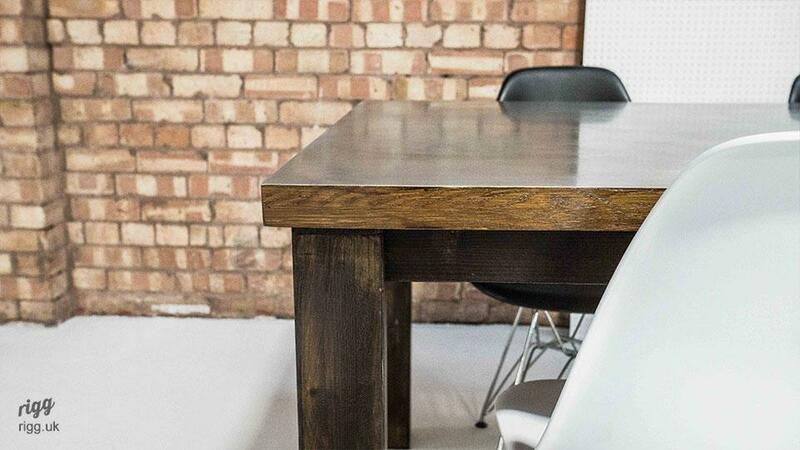 In addition, we can also stain the legs darker or paint them as required. 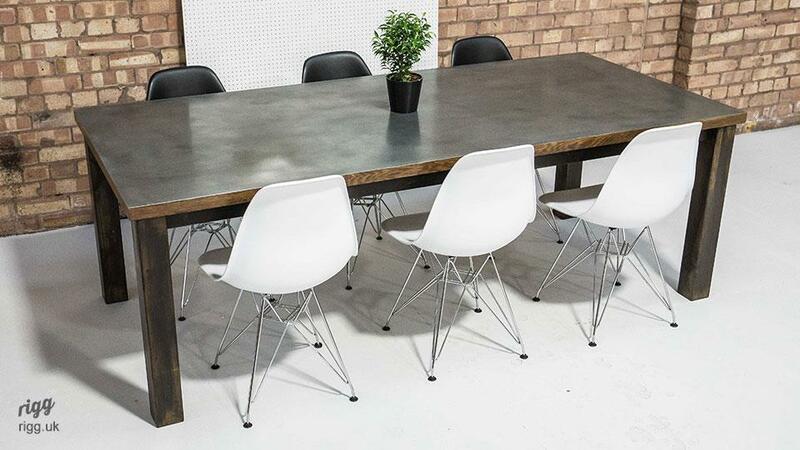 This piece is an alternative to our zinc top dining table.